In addition to the fully opened and closed positions, the Vortrak can be locked into place in two additional locations of your choice. The Vortrak can be installed easily without the use of a drill or special tools, is Made in the USA and comes backed by a 2-year warranty. 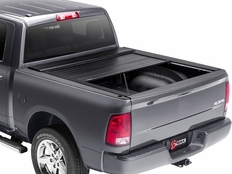 Best of all, by increasing aerodynamics and reducing wind resistance, installing the Vortrak tonneau cover will improve your fuel economy by as much as 10% while keeping your cargo dry and safe. The part number for this item is: Bak R25130 and it fits 2019 Chevy Silverado GMC Sierra (5'8" Bed).